One of my favorite things about Italy is their love of wine. Everyone drinks it. Even the children have a little. The entire country has an appreciation for good wine but you seldom see drunks. If you do see them, they are usually tourists. Red wine is their preferred drink but good whites show up as well. 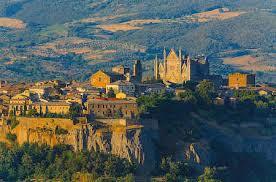 Places like Orvieto produce great white wines. Most countries serve wine by the bottle in restaurants. In Italy and Spain you can also get it by the liter or half liter in a glass or ceramic pitcher. These restaurants by local wine in bulk and can sell it to you cheaply because there is no bottle, cork, label or cap. The wine is excellent and can be dry, sweet, red or white. We found a place in our town that sells wine in bulk. There are several huge wooden casks full of various kinds of wine. You can taste them and then choose. They will fill your vessel of choice such as an empty water bottle, a pitcher, a jar, etc. They charge by the liter and wine is about 2 euros per liter or about $2.20 for a bottle and a third of good wine. 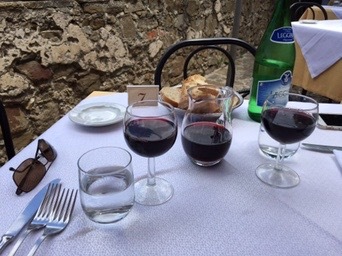 The other way to taste different wines in Italy is to visit a local Enoteca. These are stores that sell wine and allow you to taste them as well. They exist all over Italy. Some serve small plates of food as well. Italians don’t like to drink without having water and food available. 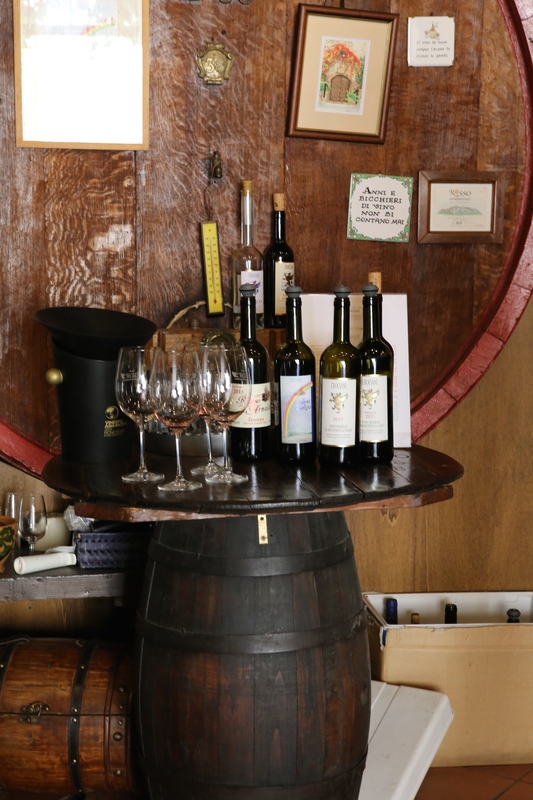 An Enoteca is a great way to taste the local wines around you. You can then decide what you like and buy some. The wines here are usually sold in bottles. 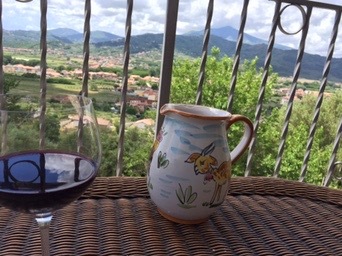 However you drink wine in Italy, enjoy it! Sit outside at a bar or a trattoria and sip it slowly, Taste the complex flavors of Italy. Observe the people around you and enjoy it. This is experiencing Italy. You do not do it fast, you do not eat fast food, you do not rush from city to city or museum to museum, and you do not have an unchangeable schedule. In Italy you make time to slow down and enjoy your life. Dolce Far Niente! (The sweetness of do nothing). When you finally understand this simple phrase, you understand Italy and can enjoy it. Buon Viaggio. 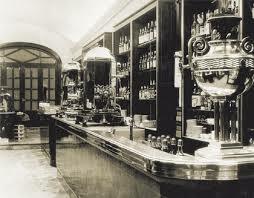 People that have been to Italy often ask us what is the difference between the types of restaurants in Italy? It can be confusing so we give you this guide. Italy has fantastic food everywhere. We even stopped at an “Auto Grill” on the autostrada (highway) and had a great espresso and pastry. Other times we will get a Panini at the Auto Grill. Not like our turnpike rest areas. In Italy there are several common types of places to eat and a few others in certain areas. Bar – A place to eat or drink. In the morning you go here for coffee and pastry, at lunch you go for sandwiches (Panini). In the evening you go for a drink and a snack. Many bars also serve gelato. Bars are cheapest if you stand and eat. Sitting at a table costs more but allows you to relax and observe Italy and its great people. Tratteria – these are small private owned eating cafes with great food at reasonable costs. Lunch and dinner are great. Usually Italian favorites as well as local dishes are served. The atmosphere is simple but comfortable. A version of these are Pizzeria Trattoria. 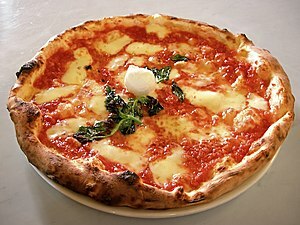 These include pizzas along other dishes. Some have outside and inside seating available. Ristorante – These are for lunch or dinner and are nice but expensive. The atmosphere is classic and the food is great. You can also find Pizzeria Ristorante’s. The wine lists are more extensive and the atmosphere is more formal. Osteria – These are places that usually serve wine and simple food with limited menus. Enotecca – Small wine bars that allow tasting local wines (for a charge) and serve small dishes or sandwiches or Tapas like foods. These are a great way to get to know local wines. Rotisserie – Small restaurants that specialize in roasting meats on a spit. Agritourism – Usually a farm-based establishment with a B&B type hotel and food grown or raised on their farm. They sometimes have stores to buy products and take home. One near our home in Italy has a vegetable and fruit market as well. Pizza is everywhere! You can have it in Trattoria’s or Ristorante’s. The bread in Italy is great. It is crusty on the outside but soft or airy inside. Always stay away from touristy places serving hamburgers and hot dogs. The food won’t be good and prices will be high. Enjoy your trip, taste Italy’s great food & wines. Sit back and smile as you watch the Italians strolling with family at lunch time or in the evening. Lunch usually ranges from 12 noon to 3 pm (shorter in the north) and dinner from 6 pm (for tourists) to 11 pm. The south of Italy eats much later than the north. The south also serves more fish than the north. If you happen to be in the north of Italy in the fall, DO NOT MISS the truffles. Remember Italy is the land of romance. Sit back and enjoy yourself. Stay away from the American Fast Food places. You are in Italy enjoy its great foods and wines. Save the fast food for when you get home. 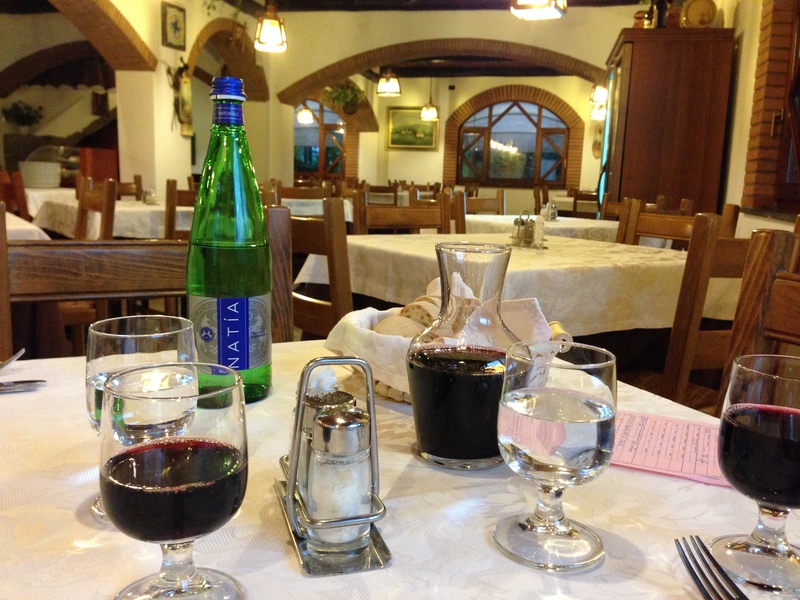 Do NOT go into eating establishments in Italy and be in a hurry! Use a bar if you have to eat fast. Good food takes time to prepare and serve properly. I saw a show on Cypress that was talking about all the international visitors that went there. It then said it had an international cuisine and showed McDonalds, KFC, Pizza Hut and several other American fast food chains. I have news for you, Fast Food is NOT cuisine! If you go to a foreign country and eat American Fast Food, you are missing out on the true gems of that country. Countries like Italy have unbelievably good food. It is NOT the same as Italian food in America. It is soooo much better. Go, see, experience and enjoy the food and wine. We travel to foreign countries to have new experiences. One is the people and another is the food. Yes we want to see museums and monuments but if you miss the local culture and food, you really haven’t experienced the country. You might as well sit at home with your fast food and watch a travel show on the country. Be active and get out and see the country. Enjoy all it has to offer. The fast food will still be at home when you return.